Paul Thomas Mann (June 6, 1875 - August 12, 1955) was a German novelist, social critic, philanthropist, essayist, and Nobel Prize laureate, lauded principally for a series of highly symbolic and often ironic epic novels and mid-length stories, noted for their insight into the psychology of the artist and intellectual. He is noted for his analysis and critique of the European and German soul in the beginning of the twentieth century. Mann is one of the last notable authors of German Modernism, but one of the first to herald the shattered aesthetic of German literature after the horrors of World War II. Like other German authors, already in their prime during the rise of Nazism, who lived to see the end of the Third Reich and the revelations of the death camps, Mann's writings fall broadly into two categories: those written in a "clean," Realist style before the rise of Nazism, and those written in psychological, modern prose that searches for meaning after the revelations of the Holocaust and Germany's catastrophic defeat in World War II. Mann was a master during both eras. It was on the strength of his early, Realist fiction, among them Buddenbrooks, that Mann would win his Nobel Prizeand largely cement his fame. The Magic Mountain was a transitional work, with the original version begun in the realist tradition, but the revised work expressing many of the Mann's concerns for European society in the run-up to the Second World War. Mann searched in vain for answers to forestall the collapse of the tradition of Western humanism in the face of the rise of totalitarian forces. Humanism simply proved incomplete as an ideology sufficient to the task. Finally, in the war's aftermath, Mann created the powerful and moving testament presented in such works as Doktor Faustus, an allegorical story of Germany's fall, and Josef und Seiner Bruder, a re-telling of the Biblical story of Joseph, and for which Mann today is best-remembered today. Mann was a champion of democracy, and he devoted his life to preventing and recording the disasters that ultimately consumed Germany in the 1930s and 1940s. He is not only one of the finest novelists of the twentieth century, he is also one of its most heroic. Mann was born in Lübeck, Germany, second son of Thomas Johann Heinrich Mann, a senator and grain merchant, and his wife Júlia da Silva Bruhns, who was born in Brazil and came to Germany when she was seven years old. Mann's father died in 1891, and his trading firm was liquidated. The family subsequently moved to Munich. Mann attended the science division of a Lübeck gymnasium, then spent some time at the University of Munich where, in preparation for a career in journalism, he studied history, economics, art history, and literature. He resided in Munich from 1891 until 1933, with the exception of a year-long stay in Palestrina, Italy, with his older brother Heinrich, also a novelist. Mann's career as a writer began when he joined the writing staff of Simplicissimus, a German literary and political magazine based out of Munich and well-known for its satires of the noble classes. Mann's first short story, Little Herr Friedmann (Der Kleine Herr Friedemann), was published in Simplicissimus in 1898. In 1905, he married Katia Pringsheim, daughter of a prominent, secular Jewish family of intellectuals. They had six children; Erika, Klaus, Golo, Monika. Elisabeth and Michael Thomas Mann became literary and artistic figures in their own right. Mann emigrated from Nazi Germany to Küsnacht near Zürich, Switzerland in 1933, then to the United States in 1939, where he taught at Princeton University, along with such other émigrés as Albert Einstein. In 1942, the family moved to Pacific Palisades, California, where they remained until after the end of World War II. In 1944, he became a naturalized citizen of the United States. 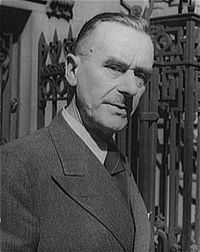 Thomas Mann returned to Europe in 1952, residing in Kilchberg, near Zurich, Switzerland. He was never to live in Germany again, though he traveled there regularly and was widely celebrated. His most important visit to Germany came in 1949, on the occasion of the 200th birthday of Johann Wolfgang von Goethe. He attended celebrations in both Frankfurt am Main and Weimar, making a clear statement that German culture extended beyond the political borders of East and West Germany. In 1955 at 80 years old, Thomas Mann died of atherosclerosis in a hospital in Zurich. During World War I Mann supported Kaiser Wilhelm II's conservatism, attacking liberalism. In Von Deutscher Republik (1923), as a semi-official spokesman for parliamentary democracy, Mann called upon the German intellectual class to support the new Weimar Republic. After the close of World War I and Kaiser Wilhelm's defeat, Mann was disillusioned, and his political views gradually shifted toward liberal and democratic principles. In 1930 Mann gave a public address in Berlin titled An Appeal to Reason, in which he strongly denounced Nazism and encouraged resistance by the working class. This was followed by numerous essays and lectures in which he attacked the Nazis. At the same time, he expressed increasing sympathy for socialism and communism. In 1933 when the Nazis came to power, Mann and his wife were vacationing in Switzerland. Due to his very vociferous denunciations of Nazi policies, his son advised him not to return. Later, Mann's books, particularly Buddenbrooks, were amongst the many burnt by Adolf Hitler's regime. Mann was awarded the Nobel Prize in Literature in 1929, principally in recognition of his popular achievement with the epic Buddenbrooks (1901), which relates the decline of a merchant family in Lübeck (based on Mann's own family) over the course of three generations. His next major novel was The Magic Mountain (Der Zauberberg, 1924), about an engineering student whose plan to visit his tubercular cousin at a Swiss sanatorium for three weeks turns into a seven-year diversion. During his time spent at the sanatorium, the protagonist of The Magic Mountain encounters a variety of characters who play out the ideological conflicts of early twentieth-century European civilization. Other novels included Lotte in Weimar (1939), in which Mann returned to the world of Goethe's novel The Sorrows of Young Werther (1774); Doktor Faustus (1947), a deep meditation on the nature of art and morality, told through the allegorical story of the composer Adrian Leverkühn and his corruption and ensuing madness in the years leading up to World War II, and often considered Mann's greatest work. Mann himself devoted most of his writing years to producing the immense tetralogy Joseph and His Brothers (Joseph und seine Brüder, 1933 - 1942), a richly imagined retelling of the story of Joseph related in chapters 27-50 of Genesis in the Hebrew Bible. The first volume relates the establishment of the family of Jacob, who becomes the father of Joseph. In the second volume the young Joseph, not yet master of considerable gifts, arouses the enmity of his ten older brothers and is sold by them into slavery in Egypt. In the third volume, Joseph becomes the steward of a high court official, Potiphar, but finds himself thrown into prison after (mindfully) rejecting the advances of Potiphar's wife. In the last volume, the mature Joseph rises to become administrator of Egypt's granaries. Famine drives the sons of Jacob to Egypt, where the unrecognized Joseph adroitly orchestrates a recognition scene that results in the brothers' reconciliation and the reunion of the family. Mann was a humanist who valued the cumulative achievements of Western culture and believed in the necessity of upholding civilization against the dangers of decay and barbarism. His work is the record of a consciousness of a life of manifold possibilities, and of the tensions inherent in the (more or less enduringly fruitful) responses to those possibilities. In his own summation (upon receiving the Nobel Prize): "The value and significance of my work for posterity may safely be left to the future; for me they are nothing but the personal traces of a life led consciously, that is, conscientiously." The Magic Mountain (Der Zauberberg) is one of Thomas Mann's longest and most influential works, first published in 1924, and now considered one of the most important works of German literature. Mann started writing what was to become The Magic Mountain in 1912. It began as a much shorter narrative, revisiting in a comic manner aspects of Death in Venice, a brief novel that he was then preparing for publication. The newer work reflected his experiences and impressions during a period when his wife, who was suffering from a lung complaint, was confined to Dr. Friedrich Jessen's Waldsanatorium, a sanatorium in Davos, Switzerland for several months. In May and June of 1912 he paid her a visit and got to know the team of doctors who were treating her. According to Mann, in the afterword that was later included in the English translation, this stay became the foundation of the opening chapter of the novel. The outbreak of the First World War interrupted work on the book. The conflict and its aftermath led the author to undertake a major re-examination of European bourgeois society, including the sources of the willful, perverse destructiveness displayed by much of civilized humanity. In the wake of this human disaster, Mann felt compelled to radically revise and expand his budding novel. He revisited the original themes of the work—illness, death, and isolation—in order to examine in detail the philosophical, sociological, and artistic causes that set in motion the catastrophe of the First World War. In particular, Mann was concerned explicitly with examining the "zeitgeist' of the pre-war years—a time characterized by a tremendous flood of new ideas and philosophies and great indecisiveness and confusion that would ultimately manifest itself in the "war to end all wars," the most chaotic and violent conflict in human history up to that time. The Magic Mountain is vast, erudite, subtle and, most of all, ambiguous. The book blends a scrupulous realism along with deeper symbolic undertones, giving the reader the paradoxical impression that they are reading an allegory that is nevertheless consummately realistic. In addition to this, interpretations of the novel are complicated all the more by Mann's notorious sense of irony. Mann himself was well aware of his book's elusiveness, but offered few clues about approaches to the text. He later compared it to a ssymphonic work, orchestrated with a number of themes and, in a playful commentary on the problems of interpretation, recommended that those who wished to understand it should read it through twice. The narrative opens in the decade before World War I. We are introduced to the central protagonist of the story, Hans Castorp, a young German. We encounter him when he is in his early twenties, about to take up a ship-building career in Hamburg, his home town. Just before beginning this professional career he undertakes a journey to visit his tubercular cousin, Joachim Ziemßen, who is seeking a cure in a sanatorium in Davos, high up in the Swiss Alps. In the opening chapter, Hans is symbolically transported away from the familiar life and mundane obligations he has known to the rarefied mountain air and introspective little world of the sanatorium. Castorp's departure from the sanatorium is repeatedly delayed by his failing health. What at first looks like a minor bronchial infection develops into the symptoms of tuberculosis, and Hans is persuaded to stay until his health improves. During his extended stay, Castorp meets and learns from a variety of characters, who together represent a microcosm of pre-war Europe. These include the humanist and encyclopediaists Lodovico Settembrini (a student of Giosuè Carducci), the totalitarian Jesuit Leo Naphta, the hedonist Mynheer Peeperkorn, and Castorp's romantic interest, Madame Chauchat. In the end, Castorp remains in the morbid atmosphere of the sanatorium for seven years. During this time, he has grown immensely, having listened and learned from the endless philosophical arguments going on between Settembrini and Naphta. At the conclusion of the novel, Castorp has rejected radicalism and totalitarianism in favor of Settembrini's humble, moral outlook. Shortly after this epiphany, World War I begins, Castorp is conscripted into the military and sent to battle, where he is almost certainly killed. The Magic Mountain can be read both as a classic example of the European bildungsroman—a "novel of education" or "novel of formation"—and as a sly parody of this genre. Many formal elements of this type of fiction are present: like the protagonist of a typical bildungsroman, the immature Castorp leaves his home and learns about art, culture, politics, human frailty and love. Hans Castorp’s stay in the rarefied world of The Magic Mountain thus provides him with a panoramic view of pre-war European civilization and its discontents. Mann’s description of the subjective experience of serious illness and the gradual process of medical institutionalization are interesting in themselves, as are his allusions to the irrational forces within the human psyche which echoes Freudian psychoanalysis and its interest in the unconscious mind that was concurrently becoming prominent. These themes relate to the development of Castorp's character over the time-span covered by the novel, a point that the author himself underlined. In the informative afterword written for the 1927 English translation, Mann states that "what [Hans] came to understand is that one must go through the deep experience of sickness and death to arrive at a higher sanity and health… "
According to the author, he originally planned the The Magic Mountain as a novella; a humorous, ironic, satirical pendant to Death in Venice, which he had completed in 1912. The atmosphere was to derive from the “mixture of death and amusement” that Mann had encountered whilst visiting his wife in a Swiss sanatorium. This fascination with death, the triumph of ecstatic chaos over a life devoted to order, which he had explored in Death in Venice was supposed to be transferred to a comedic plane. Thus, The Magic Mountain contains many contrasts and parallels with the earlier novel. The established author Gustav von Aschenbach can be readily compared to the young, callow Castorp at the start of a humdrum career. The allure of the beautiful Polish boy, Tadzio, corresponds to the Asiatic mystery of the Russian, Madame Chauchat. The setting itself has shifted both geographically and symbolically; switching from the flooded and diseased Italian coast lands to an alpine resort famed for its health-giving properties. Where the city of Venice in Death in Venice was under the threat of a cholera plague, The Magic Mountain takes place in a secluded enclave where disease is ostensibly meant to be cured, although, as the story unfolds, Hans's disease only becomes fully developed at the sanatorium. The Berghof patients suffer from some form of tuberculosis, which rules the daily routines, thoughts, and conversations of the “Half-a-lung club.” The disease ends fatally for many of the patients, such as the Catholic girl, Barbara Hujus, whose fear of death is heightened in a harrowing Viaticum-scene, and Castorp's cousin, Ziemßen, who leaves the world like an ancient hero. The dialogs between Settembrini and Naphta often revolve around the theme of death viewed from a metaphysical perspective. Mann commented that, “What Castorp learns to fathom is that all higher health must have passed through illness and death. […] As Hans Castorp once says to Madame Chauchat, there are two ways to life: One is the common, direct, and brave. The other is bad, leading through death, and that is the genial way. This concept of illness and death, as a necessary passage to knowledge, health, and life, makes The Magic Mountain into a novel of initiation." Closely connected to the themes of life and death is the subjective nature of time, a recurring leitmotif. Thus Chapter VII, entitled "By the Ocean of Time", opens with the narrator asking rhetorically, "Can one tell - that is to say, narrate - time, time itself, as such, for its own sake?" Mann's authorial (and ironic) response to this question is, "That would surely be an absurd undertaking…," before going on to compare storytelling to the act of music making, describing both as , " …only present themselves as a flowing, as a succession in time, as one thing after another…" . The Magic Mountain, in essence, embodies the author's meditations on the tempo of experience. The narrative is ordered chronologically but it accelerates throughout the novel, so that the first five chapters relates only the first of Castorp’s seven years at the sanatorium in great detail; the remaining six years, marked by monotony and routine, are described in the last two chapters. This asymmetry corresponds to Castorp’s own skewed perception of the passage of time. Mann also meditates upon the interrelationship between the experience of time and space, in which time seems to pass more slowly when one doesn't move in space. This aspect of the novel mirrors aspects of contemporary philosophical and scientific debates, such as Heidegger's writings and Einstein's theory of relativity. Mann uses the novel's main characters to introduce Castorp to the ideas and prevailing ideologies of his time. The author observed that the characters are all “exponents, representatives, and messengers of intellectual districts, principles, and worlds,” hoping that he had not made them mere wandering allegories. According to the author, the protagonist is a questing knight, the “pure fool” looking for the Holy Grail in the tradition of Parzival. However, he remains pale and mediocre, representing a German bourgeois that is torn between conflicting influences—capable of the highest humanistic ideals, yet at the same time prone to both stubborn philistinism and radical ideologies. In a way, Hans Castorp can be seen as an avatar of the young Weimar Republic: Both humanism and radicalism, represented by Settembrini and Naphta, try to win his favor, but Castorp is unable to decide. His body temperature is a subtle metaphor for his lack of clarity: Following Friedrich Schiller’s theory of fever, Castrop’s temperature is always 37.6°C, which is neither healthy nor ill, but an indeterminate stage. Stuck in this intermediate stage, Castorp is subject to the influences of the various conflicting ideologies of his time, embodied in the other characters in the novel. Settembrini represents the active and positive ideal of the Enlightenment, of Humanism, democracy, tolerance and human rights. He often finds Castorp literally in the dark and switches on the light before their conversations. He compares himself to Prometheus of Greek mythology, who brought of fire, and thus enlightenment to Man. His own mentor, Carducci, has even written a hymn to another lightbringer: to Lucifer, “la forza vindice della ragione.” His ethics are those of bourgeois values and labor. He tries to counter Castorp's morbid fascination with death and disease, warns him against the ill Madame Chauchat, and tries to demonstrate a positive outlook on life. His antagonist, Naphta, describes him as “Zivilisationsliterat”—a "civilized" member of the literati, in the most pejorative sense. Mann originally constructed Settembrini as a caricature of the liberal-democratic novelist, represented for example by his own brother, Heinrich Mann. However, while the novel was written, Mann himself became an outspoken supporter of the Weimar Republic and humanism, which may explain why Settembrini, especially in the later chapters, becomes the authorial voice. Settembrini's antagonist, Naphta, represents the forces of decay, of radicalism and extremism. His perspective combines several heterogeneous radical aspects that include fascism, anarchism, and communism. With brilliant intelligence he aims to unmask Settembrini's values and ethics and leads them ad , “as if to prove that the Sun revolves around Earth.” Settembrini admits that Naptha's sophistry usually prevails in their frequent verbal duels for the favor of their eager student, Castorp. In the end, Castorp sides with Settembrini, based on his benevolence more than the soundness of his arguments. In Mann's original draft, Naphta was not planned but was added later, while the Weimar Republic was threatened by radical ideologies from all sides, eventually leading to its collapse. Hans Castorp famously tries to classify Naphta politically and comes to the conclusion that he was just as revolutionary as Setembrini, not in a liberal, but in a conservative way, so he decides that Naphta was a Revolutionär der Erhaltung (revolutionist of conservation). This apparent oxymoron alludes to a heterogenous movement of right-wing German intellectuals called the Conservative Revolution. The term, probably first adopted by Hugo von Hofmannsthal, was repeatedly used by Mann and is meant to be revolutionary in a reactionary sense: The movement was highly nationalistic and not only fought against the ideals of left-wing socialism, liberalism and Enlightenment, but it also detested the lost Empire’s petty bourgeoisie and the aristocracy. The movement was somewhat elusive, flirting with every radicalism against established views. Thus, Naphta himself is conceived as a living contradiction in terms: An ex-Jewish Jesuit, anti-capitalist, hostile to modernity, freedom, individuality and progress, anarchic and theocratic. Possible inspirations for Naphta are Leon Trotsky and Georg Lukács. Doktor Faustus is Mann's last complete novel, published in 1947 as Doktor Faustus. Das Leben des deutschen Tonsetzers Adrian Leverkühn, erzählt von einem Freunde Doctor Faustus: The Life of the German Composer Adrian Leverkühn as Told by a Friend). The novel documents the life of a fictional composer, Adrian Leverkühn, from his early childhood near the turn-of-the-century to his tragic death towards the beginning of World War II. Mann's protagonist, Leverkühn, is intentionally modeled along mythic lines of the German medieval morality tale of Faust, who sold his soul to the devil in exchange for infinite knowledge. As Leverkühn, impassioned by demons, develops artistically toward a fated reckoning day, German society simultaneously moves politically toward its catastrophic fate. That the novel is an allegory for Germany selling its own soul is clear and is suggested not only by Mann but by the novel's mysterious narrator, Serenus Zeitblom. Yet the novel also tackles themes of much greater depth than simply a condemnation of political catastrophes. It examines in particular the growth of German intellectualism, from the early age of Romanticism to the nihilism of such philosophers as Friedrich Nietzsche and Arthur Schopenhauer, and the ultimate disaster of National Socialism; this transition is viewed, from Adrian's point of view, through the development of German music from Romanticism to Modernism, and in this respect the novel is perhaps one of the greatest works ever written on the relation between artistic and political ambition. Doktor Faustus consists of a vast array of characters, fables, world events, theories, memories, ideas, and places, sometimes directly and sometimes tangentially linked to the story of Adrian Leverkühn's life. The entire novel is told through the character of Serenus Zeitblom, a childhood friend of Adrian who loves his friend so dearly (and can perceive his genius, even at an early age) that he devotes the rest of his life to following Adrian and writing his biography. That fictional biography is the text of Doktor Faustus. Zeitblom is a fascinating character in and of himself: he is a philologist and schoolteacher, deeply devoted to the philosophy of moral humanism, and he is shy to the point of being comical. He famously begins the first half-dozen chapters of the novel by apologizing for how lengthy the previous chapter had been. He is so unlike the daring artist Adrian that the two are almost antithetical; yet, in complementing one another, they create a complete story of tremendous force and beauty. Zeitblom begins the novel by recounting his and Leverkuhn's shared childhood in the German township of Kaiseraschern. Leverkuhn's father is a tinkerer and amateur scientist, and he shows the boys a variety of scientific wonders, such as an amoeba under a microscope. Even at this early stage, however, the difference between the two boys is clear: Zeitblom reacts to the amoeba and other wonders with awe and a slight tinge of fear; young Leverkuhn reacts by bursting into fits of uncontrollable laughter. As the two grow older, Leverkuhn's genius becomes undeniable. His parents hire a tutor for him, only to have the tutor conclude in a matter of months that there is nothing more he can teach the boy. Leverkuhn finds solace, however, by studying with the local organist, a German-American named Kretzschmar who happens to have an extensive musical education and who takes the young prodigy under his wing. During these early chapters concerning Kretzschmar and Leverkuhn's musical education, the narrator Zeitblom reproduces huge lectures (given by Kretzschmar to Leverkuhn, Zeitblom, and a few other listeners) on such topics as Beethoven's sonatas, the ultra-primitive choral music of an extreme isolationist church in Pennsylvania, and the relation between the visual arts and music. Again, as Leverkuhn readily absorbs all of Kretzschmar's knowledge, he cannot help himself from fits of laughter at each new epiphany. One night, a pale man, dressed in suit and tie, appears to Leverkuhn as he awakens from a mild dream. The man never identifies himself, though as the two converse it readily becomes clear who He is; the closer he comes to Leverkuhn, the colder the room seems to become, and as their conversation continues he readily changes shape, taking on the voices and personas of variety of people that Leverkuhn knows. The man makes a deal with Leverkuhn: he will grant him the artistic genius he needs to compose great works, in exchange for his soul. At first, Leverkuhn laughs at this offer, but the man continues making clear exactly what he means: when he leaves the room, Leverkuhn will be granted musical genius; but in return, he will never again be able to love another human being. Leverkuhn agrees to the terms; the man disappears; and the novel is never the same again. After these events, the novel rapidly picks up speed as Leverkuhn begins a repeated process of composing more and more ambitious masterworks while simultaneously falling further and further into insanity. Each new work Leverkuhn composes is preceded by a period of intense illness and migraines, which gradually become more severe as he ambitious spread wider. As Leverkuhn begins to win fame and renown as a major composer, it becomes clear to him just what he's sacrificed. He attempts, desperately, to win the affections of a young woman, only to have those very advances result inadvertently in her own tragic death. Terrified, he flees to a rustic village much like the one he and Zeitblom grew up in and commits himself to composing his greatest work, a massive opera entitled The Damnation of Faust. After years of total isolation, Leverkuhn invites Zeitblom, Kretzschmar, and anyone else who is willing to meet him at his home as he presents the finished manuscript of his opera. Instead of presenting the opera, however, Leverkuhn tells the gathered audience of all his sins, of having lived the past three decades of his life in service of the Lord Satan, and of being responsible for the murders of his nephew Nepomuk and a woman he loved. As the ghastly confession continues all the members of the audience with the exception of Zeitblom slowly drift away, and the novel closes with Leverkuhn falling into a fit of migraine and lapsing into a coma from which he never recovers. The novel is concerned with the intellectual fall of Germany in the time leading up to World War II. Leverkühn's own moods and ideology mimic the change from humanism to irrational nihilism found in Germany's intellectual life in the 1930s. Leverkühn (the name means "live audaciously") becomes increasingly corrupt of body and of mind, ridden by syphilis and insanity. In the novel, all of these thematic threads—Germany's intellectual fall, Leverkühn's spiritual fall, and the physical corruption of his body—directly analogue to the political disaster of fascistic Germany. Mann's sense of the inseparable nature of art and politics may be seen in the published version of his 1938 United States lecture tour, The Coming Victory of Democracy, in which he said, "I must regretfully own that in my younger years I shared that dangerous German habit of thought which regards life and intellect, art and politics as totally separate worlds." In Doktor Faustus, Leverkühn's personal history, his artistic development, and the shifting German political climate are tied together by the narrator Zeitblom as he feels out and worries over the moral health of his nation (just as he had worried over the spiritual health of his friend, Leverkühn). Another central theme is music. In the novel, Adrian Leverkühn develops the twelve-tone technique actually invented by Arnold Schoenberg. Schoenberg, who lived near Mann in Los Angeles as the novel was being written, was very upset that Mann had appropriated the method without attributing it to him, and at his insistence, later editions of the novel included a disclaimer at the end describing Schoenberg's invention of the technique. ↑ Thomas Mann Autobiography. .nobelprize.org. Retrieved June 3, 2008. Mann, Thomas. The Magic Mountain, a new translation into English by John E. Woods. London: Everyman's Library,  2005. ISBN 1400044219 This won the Helen and Kurt Wolff Prize in 1996. Nobel Lectures, Literature 1901-1967, Edited by Horst Frenz, Amsterdam: Elsevier Publishing Company, 1969. based on a previous version in French. All links retrieved September 14, 2014. This page was last modified on 14 September 2014, at 21:22.